While LCD Soundsystem have yet to deliver the goods on the group's forthcoming comeback album, their fans can stop being crybabies about it and instead take solace in this lullaby version of their song "All My Friends." 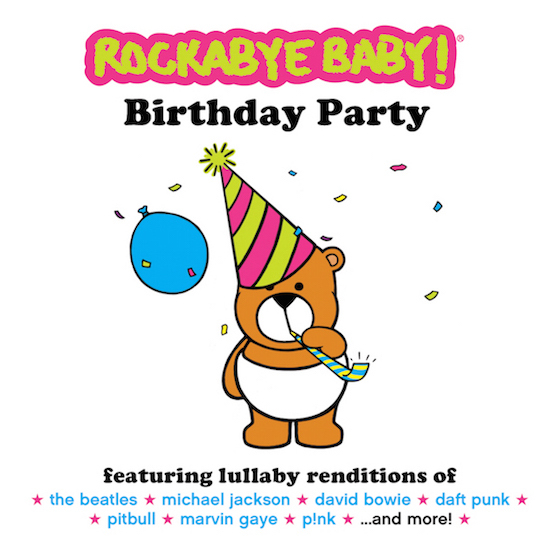 The track comes from the forthcoming Rockabye Baby compilation Birthday Party, which celebrates 10 years of soft remakes from the nap-time label. The lullaby version of the track is built on plucky strings and gentle, soothing keyboards. It's sort of a cross between the Rugrats theme and the most precious moments of early 2000s IDM. Listen to the baby-ready version of "All My Friends" below [via Pitchfork]. The Birthday Party compilation arrives on October 14 and also includes covers of David Bowie, the Black Eyed Peas and Daft Punk, among others.